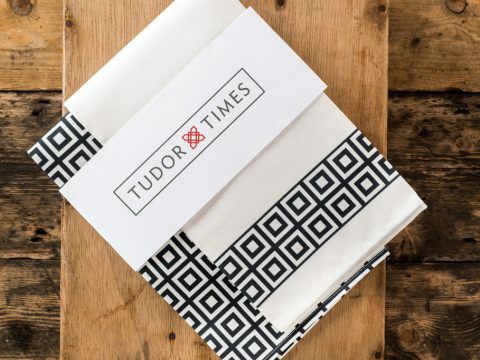 In Tudor England, maintaining the difference between ranks was so important to the concept of a well-ordered society that efforts were made to enshrine the distinctions between the classes in “Sumptuary” Laws. These laws tried to control what you ate and wore, according to your position in the God-given hierarchy, which stretched from the King at the top, down through the numerous grades of nobility and clergy, to the gentry, yeomen and finally, the labourers at the bottom of the heap. Of course, for the poorest, Sumptuary Laws were not terribly relevant. Labourers would not often be able to afford more than pottage, the staple dish, and you could eat as much of that as your budget would allow. 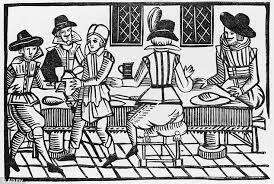 The rich ate pottage too, but instead of what was basically cabbage soup with some barley or oats and a sniff of bacon if you were lucky, a nobleman’s pottage might contain almonds, ginger and saffron as well as wine. For aspiring courtiers who spent fortunes trying to outdo each other in lavish display, the Sumptuary Law was very relevant indeed. Failure to obey it could earn you a fine, as well as contempt for trying to “ape your betters.” In theory, even the nobles were supposed to limit the amount spent on food each year to about 10% of their capital, although that was for their immediate family, and did not include the amount to be spent on the household. The other rule to take into account was the strict observance of fasting on Fridays, Saturdays, and sometimes, Wednesdays too. Fasting did not mean going without food altogether, just eschewing flesh, and, in Lent, butter, eggs and dairy foods as well. The elderly, children and pregnant women were not expected to fast and it was possible to obtain a dispensation from fasting, but this was exceptional. Henry Howard, Earl of Surrey, was hauled before the King’s Council and severely reprimanded in 1543 for flagrantly eating meat during Lent. He was either deliberately risking an accusation of heresy (the reformed Church being inclined to see fasting as superstitious) or he actively disliked fish, since fasting diners hardly suffered. Pocket permitting, meat was replaced by an extraordinary array of fish and other sea-foods, including seal and porpoise, the latter apparently a great favourite with Katharine of Aragon. Monarchs, although strictly observing the rules of fasting, were, of course, unlimited in what they could eat, or provide for their guests and courtiers. On flesh days at Henry VIII’s Court, a staggering range of meats and fowl would be eaten, including brawn, beef, mutton, bacon, goose, veal, lamb, kid, hens, capons, peacocks, cygnet, mallard, teal, woodcock, ousels, thrush, robins, cranes, bitterns, buzzards and venison of all sorts. Venison was the king of meats – not available to buy, it was hunted in the deer parks of the king and his nobles, and frequently given as a present. Henry VIII sent a hart to Anne Boleyn as a symbol of courtship.